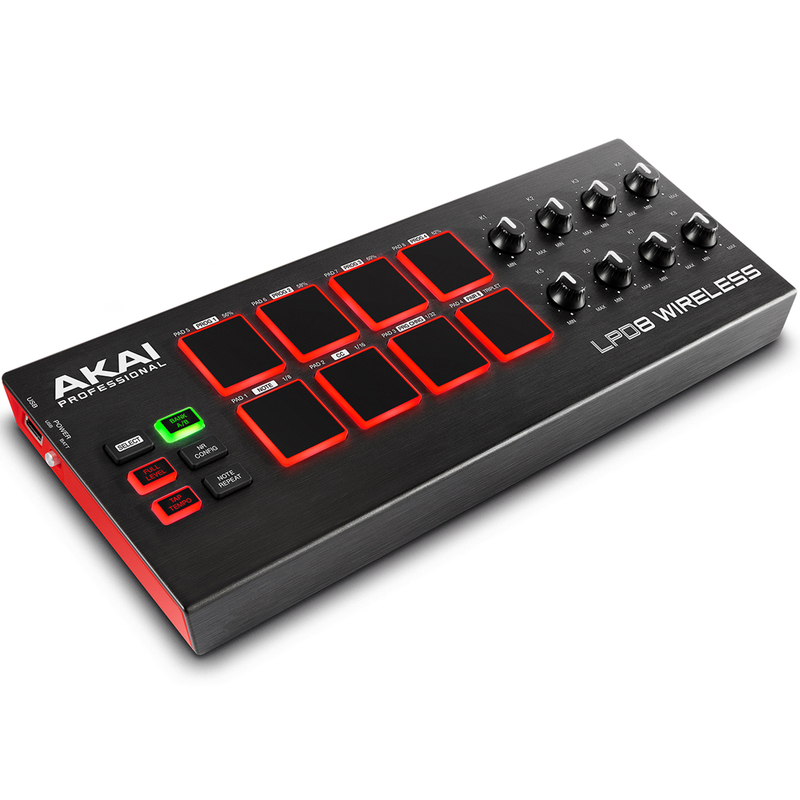 Akai's LPD8 Wireless pad controller makes producing electronic music with your favourite virtual instruments totally portable. Just toss this compact controller in your laptop case or tuck it in your bag next to your iPad, and you're ready to go wherever inspiration strikes you. A set of eight responsive MPC pads gives you full access to samplers, and Q-Link knobs let you reach out and grab any MIDI-controllable parameters. Plus, you get four program banks, so you can easily switch setups on the fly. Top it off with battery power and Bluetooth connectivity, and the LPD8 Wireless is ready to take your music anywhere. Generations of producers still swear by the feel of classic MPC pads, and that's exactly what you get with the LPD8 Wireless. Any seasoned beat maker will feel at home on these eight firm and responsive pads (complete with red backlighting), and you can switch them to Full Level mode when you don't want velocity-sensitive dynamics. 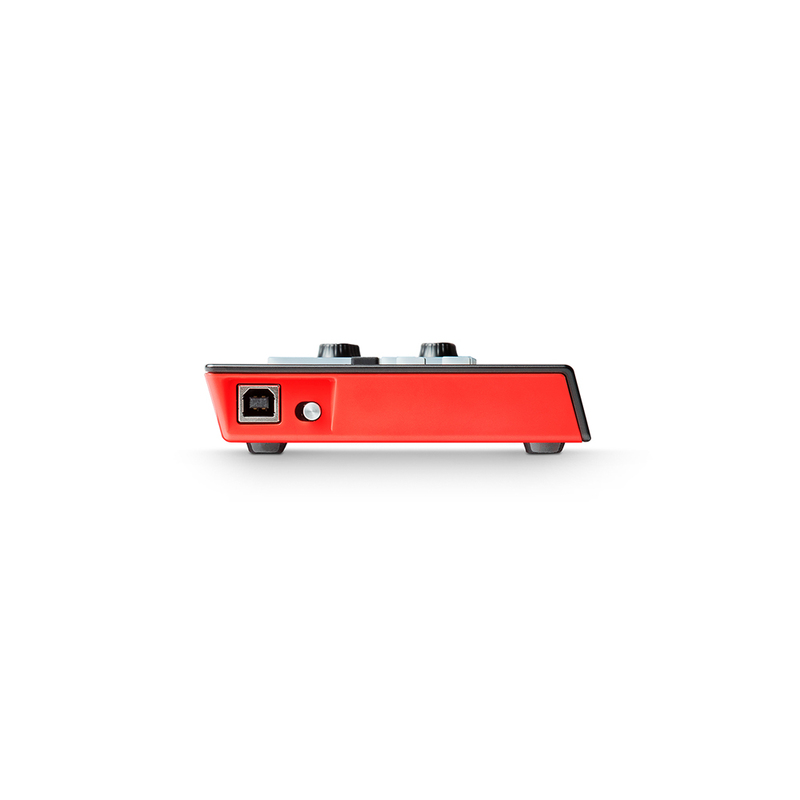 Two switchable layers also provide full access to traditional 16-pad sampler instruments. On top of that, the LPD8 Wireless features classic Akai Note Repeat mode, perfect for quickly laying down hats and other rhythmical elements. 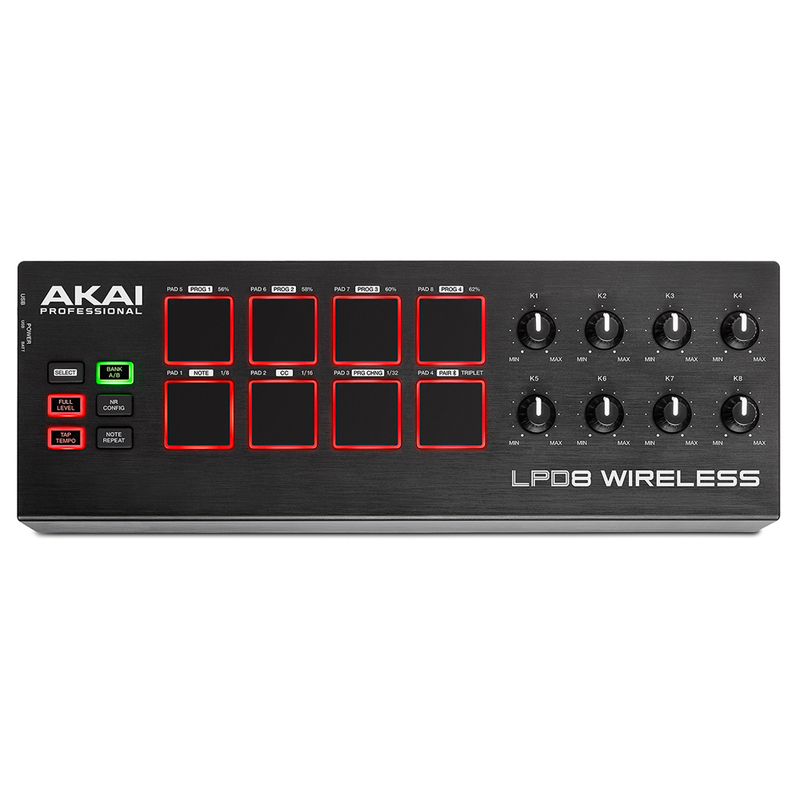 Beyond a great set of pads for playing samples and drum synths, the LPD8 Wireless delivers extensive MIDI control. You can set up the pads to trigger program changes, and the set of eight Q-Link knobs can cover a wide range of continuous controllers. In fact, there are four program banks on-board the LP8 Wireless, providing you with all of the program change triggers and CC knobs you need. What's more, you can set up all of your programs from the simple editor/librarian software (Mac/Windows) and take them with you. Want to lay down beats at the beach or bust out a groove on the subway? Between USB bus power and batteries, you never have to worry about plugging in to get your hands on your favourite virtual sampler. What's more, thanks to its on-board Bluetooth LE connectivity, you can leave your USB cable at home too and enjoy total wireless freedom for hours of music production anywhere inspiration strikes.